Cats And Snakes - Are Cats Afraid Of Snakes? Are Snakes Afraid Of Cats? You are here: Home / Cat Facts & Fun / Cats And Snakes – Are they afraid of each other? 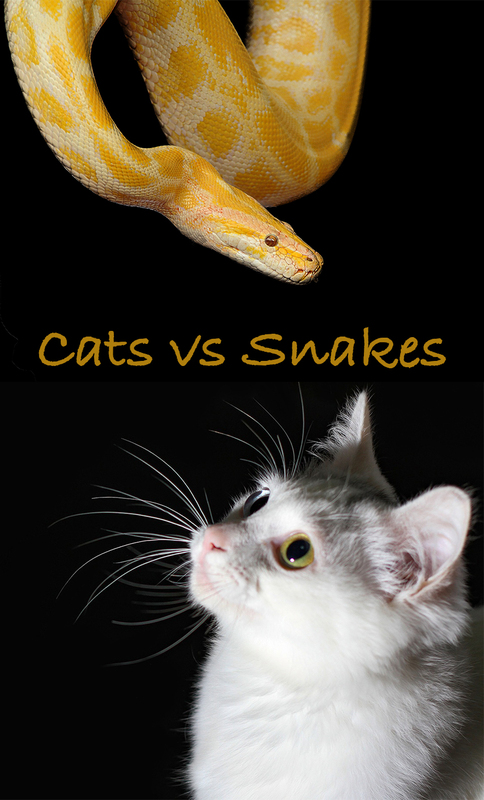 Cats And Snakes – Are they afraid of each other? Welcome to our complete guide to cats and snakes. Answering all of your questions about this unusual combination of critters. Are cats afraid of snakes? Are snakes afraid of cats? Can you use your cat to keep snakes away? 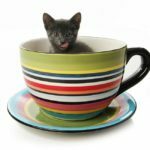 We answer all of these and more – including a complete guide to snake bites on cats, and what to do if your cat gets bitten. Cats, even our domesticated ones that are loving, harmless and endlessly affectionate, are natural predators. But, does this automatically mean that they are predators of snakes? Certain snakes are also known to be dangerous, especially when they contain poisonous venoms that are used to attack their prey. Snake bites can be a worry, especially if you are living in rural areas in the U.S., where species like pit vipers reside. Is this danger known by our cats? Are our cats naturally afraid of snakes, or can they actually be useful in keeping snakes away from our homes? This article will look more into the relationship between these two creatures, investigating whether either one fears the other, and how to identify if your cat has been bitten by a snake. Are cats afraid of snakes? There was an internet craze in which people snuck up behind their cats and placed a cucumber down. These cats would react dramatically, leaping into the air and racing away from the new object that had somehow appeared behind them. Some people speculated that this represented a fear cats had of snake-like objects, reflecting an innate fear of snakes. However, this theory on cats and snakes was never proven. And this fear was just as likely a reaction to the surprise of a new, strange object appearing behind them! The shape of a snake is unlikely to scare a cat who has had no previous negative experience with snakes. Do Cats Cry? 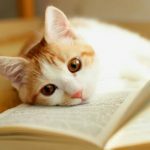 Cat tears and what they mean. What Does Catnip Do To Cats? Let’s find out! For example, slow worms (or Anguis fragilis) are similar shapes to snakes. But that doesn’t stop my cat from stalking them around the garden! If you own or have ever previously owned a cat, you’ll know that they love bringing little surprises to their owners. An impressive display of their hunting skills and perhaps a show of their affection to you! Snakes are among the many common gifts that our cats our likely to bring us. Which implies that cats are not afraid of them, and are capable of hunting them! Just because our cats can hunt snakes does not mean they aren’t always going to avoid being bitten . But that will be dealt with later on in the article. Cats are generally curious animals, so finding a snake in their territory will often lead them to investigate the new creature. However, if your cat is ever bitten by a snake, they may be more cautious before investigating next time. Are snakes afraid of cats? Feral cats are, in many places, natural predators of certain snake species, such as boa snakes in the Caribbean. Even domestic cats are likely to hunt snakes they find around their homes, due to their natural predatory instincts. This could potentially cause snakes to leave, as they would want to reside somewhere with few predators. However, we can’t guarantee that all snakes are going to be scared of cats, so getting a cat just to scare snakes away is not necessarily going to work out as you hoped. Do cats keep snakes away? Cats are great hunters and may be able to kill snakes that slither onto your land, but they aren’t necessarily going to be able to destroy every snake that appears. Cats are likely to defend their territories, and this may be enough to cause existing snakes to move away. However, there is a high chance your cat could be bitten, especially if you’re relying on it alone to clear the area surrounding your home of snakes. Even a non-venomous bite from a snake can be harmful for your cat, so perhaps other options are better to use first when trying to get rid of snakes. There are hundreds of suggestions online about how to get rid of snakes, such as ensuring there are no gaps in your walls that a snake could come through, and clearing your yard of any unnecessary clutter. Some tried and tested options you find may be more effective at banishing snakes, and will perhaps be better for the health of your cat. Cats and snakes can be a very worrying combination if the snake bites. Snake bites do not automatically mean that your beloved pet was in a vicious fight. Cat Ears Down Or Back? A guide to cat ear language. Head Pressing Cats! What does it mean when he bumps you? 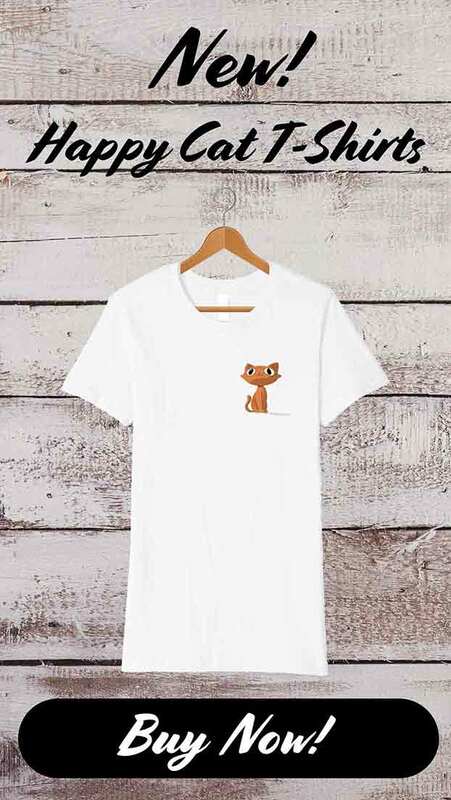 Cats are naturally curious animals, and love to investigate their natural surroundings, exploring their surrounding territory just like their wild counterparts would. Some snakes are very shy creatures and these often tend to be relatively non-aggressive, such as coral snakes. However, snakes like this are still capable of biting your pets, and so, knowing snakes are present near your house does not mean you can automatically rule out a snake bite if your cat starts showing the symptoms. Even non-venomous snake bites can cause your pet quite an injury. These snakes could bite your pet in defense, if your cat was simply too curious and, and strayed a little too close, making the snake feel threatened. Therefore, we cannot rule out snake bites when your cat begins showing symptoms, just because some snakes are more docile than others. 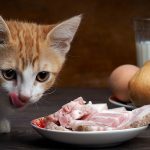 The size of your cat can affect the reaction your pet has to the bite – not all cats are going to act in exactly the same way if they get bitten. The symptoms of a snake bite in pets do not always show up automatically after the bite has happened. It can take as long as 18 hours in some cases for signs to start showing. If your cat displays any of the symptoms of a snake bite, it is important to seek veterinary help as soon as possible to prevent any further damage happening. These symptoms can also vary depending on the type of snake your cat was bitten by, so your cat may not display all of the symptoms listed below. Symptoms will generally increase in severity the longer time goes on since the bite without treatment. Snake bites can be fatal, so it is important to pay attention if your cat begins to show any of the symptoms listed below. 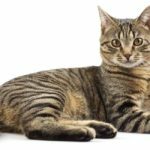 My Cat has Snake Bite Symptoms – Has it been bitten? Do you think that your cat is showing the symptoms of a snake bite? The most important thing you can do for it is to get it to your vet. It is best not to try and treat your cat yourself. This could make the situation worse if your diagnosis is not correct. Just because your cat is displaying some, or many of the symptoms above does not mean that your cat has been bitten by a snake. It is important to get a professional diagnosis, in case the symptoms are the result of a different problem. There are many things that could cause similar symptoms to a snake bite. Such as bites from other animals or insects, blunt trauma and so on. It is equally important to keep a track of any changes you introduce to your cat’s life. Let your vet know, in case these could be influencing certain symptoms. 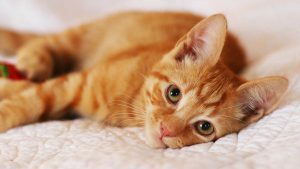 Alternatively, if you know for certain that your cat was bitten by a snake, if you saw it happen, you should not wait for symptoms to show before taking your cat to the vet. Symptoms can take hours before they are noticeable. So getting your pet professional help as soon as possible is the best thing for it. Additionally, you should try to keep your cat as still and calm as possible. To prevent the venom moving through your pet’s body more quickly. Energetic activity will just make your pet’s blood flow faster, and so will increase the spread of the poison. Your veterinarian may be able to find the fang marks from a snake bite on your cat’s skin. If your vet concludes that your cat has been bitten by a snake, they will be able to treat your pet with anti-venom drugs. These will help it get back to its normal, cheery self. It is unlikely that a cat could be cured immediately following a snake bite. So do not be alarmed if your vet needs to keep your pet hospitalized for a few days. Your vet will keep you up to date with how your pet is doing, and how best to ensure a healthy recovery. Even after the bite has been treated to avoid infections. Cats and snakes reactions to each other will depend upon their past experiences. Some cats will be afraid of snakes if they have been bitten before, but others will simply view them as a fun new toy or even a prey animal. It’s a good idea to discourage your cat from playing with snakes, and to try to keep snakes out of your back yard. As even a non-venomous snake can potential cause your cat harm. What are your thoughts and experiences with cats and snakes? 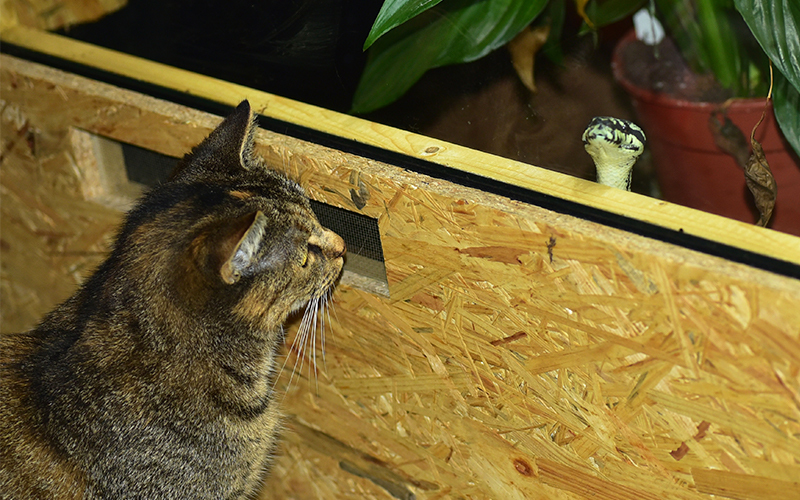 Has your cat ever had an encounter with a snake? If so, tell us about your experiences below! Is this normal for a cat to spray so much when the odor of snake is detected. The cat didn’t do this when a dog was recently in the house.